Very vexed, the king and Norbert had been watching Zettelwitz' trick with the cloud. "I don't know where this villain can have vanished to!" Kalinko groaned. "It's vital that he doesn't magic the whole zoo!" "Perhaps we shouldn't provoke him", said Norman. "I vote that we invite him to come out." "Zettelwitz, don't be a shrinking violet! Come out!" "We won't visit any vengeance on you", vowed the king. "What do you say?" But our vain wizard simply wouldn't stop while there was a vacant space in his alphabet. He thought victory was virtually in his grasp, even though he only had 15 letters so far. "You won't vanquish me", he said. "Can you see that vulture hovering in front of a cloud? Doesn't she look like a V? I'll show you!" 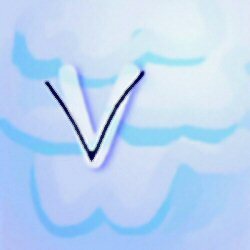 Vicious vipers, victory - Vivian, become a V! A VOICE LIKE A VOLCANO! A VIVID FLASH! 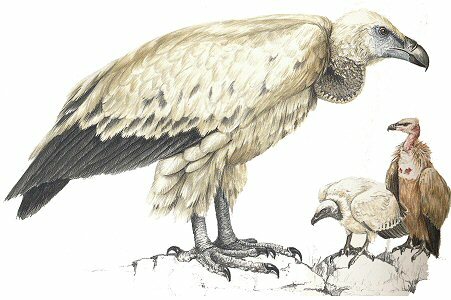 Vivian the vulture veered down to the ground and then vanished. A large V lay on the ground! "Victim number 16! ", vaunted Zettelwitz. "4 x 4 = 16"
What? Venture down there? Never fear! too bad her flying was in vain.